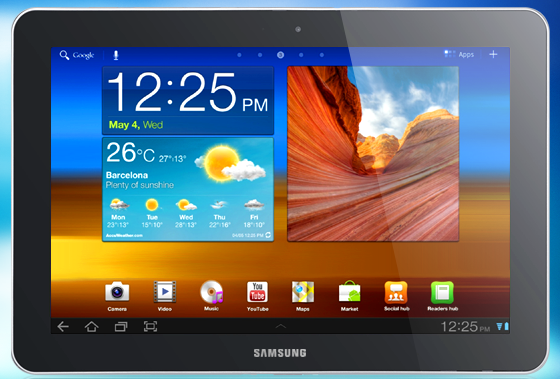 A court in California has refused to stay its earlier preliminary injunction on sales of Galaxy Tab 10.1 tablets in the U.S., pending an appeal by Samsung against the order. Judge Lucy H. Koh of the U.S. District Court for the Northern District of California, San Jose division said in her ruling on Monday that Samsung had not established a likelihood of success on appeal. Samsung is also unlikely to suffer irreparable harm without a stay, as it had conceded that it had other tablet products in the market, the judge said. Judge Koh of the U.S. District Court for the Northern District of California, San Jose division on June 26 enjoined Samsung and its U.S. subsidiaries from importing or selling within the U.S. the tablet or any "product that is no more than colorably different from this specified product and embodies any design contained in U.S. Design Patent No. D504,889." The patent refers to the ornamental design of the device. Apple posted the stipulated bond the next day, and the preliminary injunction went into effect. Samsung filed a motion on the same day seeking to stay and suspend the preliminary injunction pending an appeal to the U.S. Court of Appeals for the Federal Circuit, or, in the alternative, to stay and suspend the preliminary injunction at least until the Federal Circuit can rule on a motion for stay pending appeal. In a separate case, Samsung has also asked for a stay on a preliminary injunction by Judge Koh on the sale of the Galaxy Nexus smartphone. Samsung was not immediately available for comment on Judge Koh's refusal of stay.